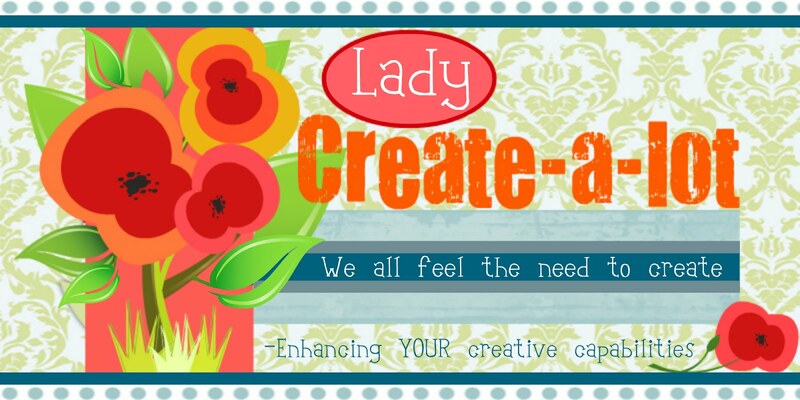 Lady Create-a-lot: Functional Magnetic Wall Borders? YES. Functional Magnetic Wall Borders? YES. Do your kids constantly create art pages? MINE DO, and of course I HAVE to display the ones they're the most proud of. The problem was that my poor fridge door was COVERED & begging for some relief. When you can't get the milk without papers sliding to the floor, you know you have a problem. Don't get me wrong, I really do love kid art; it's seriously the best! I just struggle with finding a good place to display them. Sure, a cute magnetic board's a good idea, but what if you need even MORE space? Here's an idea for your kid's rooms! You've heard of using WALLPAPER borders, right? Well, why not step it up and make your borders FUNCTIONAL, too? paper AND metal roof flashing used as a border, as well. To do this, first measure your room & decide how many feet you'll need. Then, go to your local Home Depot (ahhhhh... can you just hear the heavenly choir of angels singing?) and buy some metal flashing (in the roofing section). I LOVE HOME DEPOT. In fact, all I wanted for Christmas was a large gift card to there. When Santa delivered, I was a VERY happy girl! Haha, I guess I'm not your typical girl. Anyway, this is what it looks like. It comes in a roll & is really inexpensive. 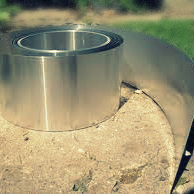 Use galvanized nails to tack it in place up at the edges. Use a stud-finder & make sure you tack it in the studs (about every 16" or so). "So, how do I cut the metal," you ask? You can use a couple of things: 1) Cut with a pair of tin snips like scissors, or 2) Lay a metal ruler over the metal where you'd like it cut and score a line with a utility knife a few times until you can bend the flashing back & forth to break it. For corners, just measure where your corner is, mark it, and bend against your metal ruler. See? not too bad, huh? 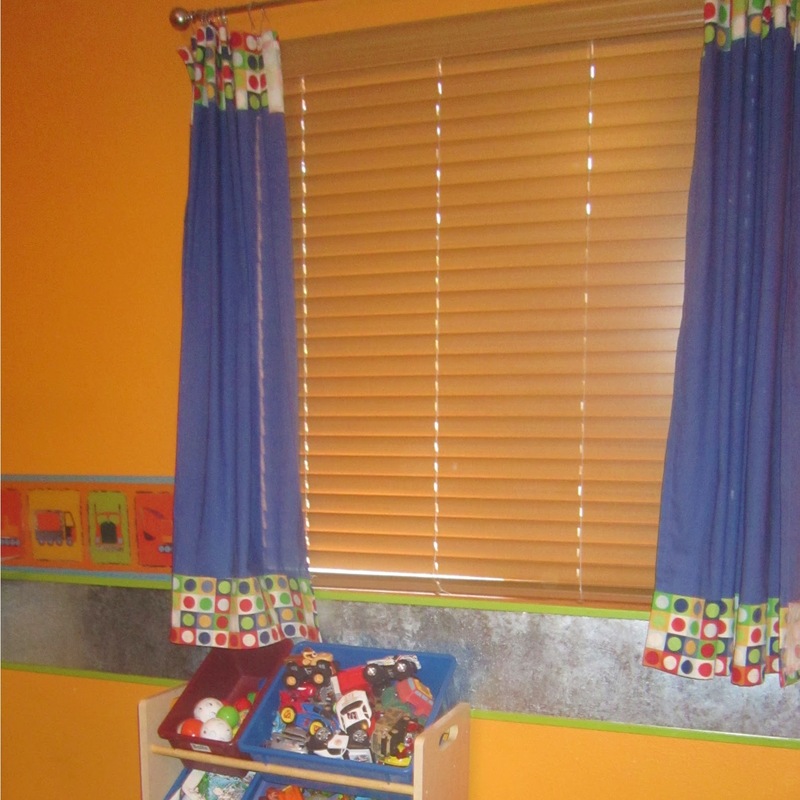 Now look at all the space you have to display your kid's fun stuff!!! If you'd like, you can hide the nails like I did (not necessary, though... galvanized nails are magnetic, too), you can just buy some wood strips, paint them, and use a small saw to cut them. I tacked mine in place with a compressor-powered nail gun (on the studs... making sure to miss the nails), but construction adhesive works great, too! I wish I would've taken a picture showing off my kid's art! 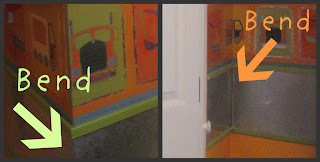 When I was teaching our little neighborhood joy school group, I used the wall all the time to teach abc's and numbers (using those letter & number magnets you can buy at the dollar store). We also used the board for all kinds of magnetic math manipulative's! SO GREAT! Check out more fun ideas on THE IDEA ROOM and DIYbyDesign! This is a fun idea! Thanks for sharing! Love that!! I am going to do that in my sons room!!! Hi! 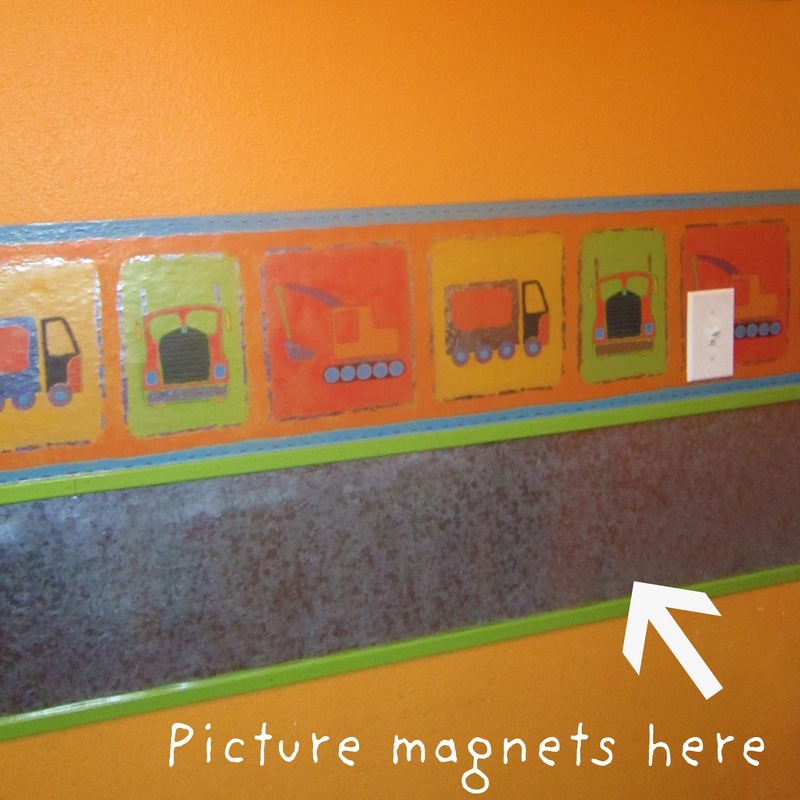 I was wondering if you could share how you made your construction wall border? I want to paint one in my boys' room, and am gathering ideas/tips on how to do it.